I made my September bee blocks early in the month, but I didn't get them mailed until October 1st and I don't like to post before I've dropped them in the mail. Bee Inspired had two Queens in September. 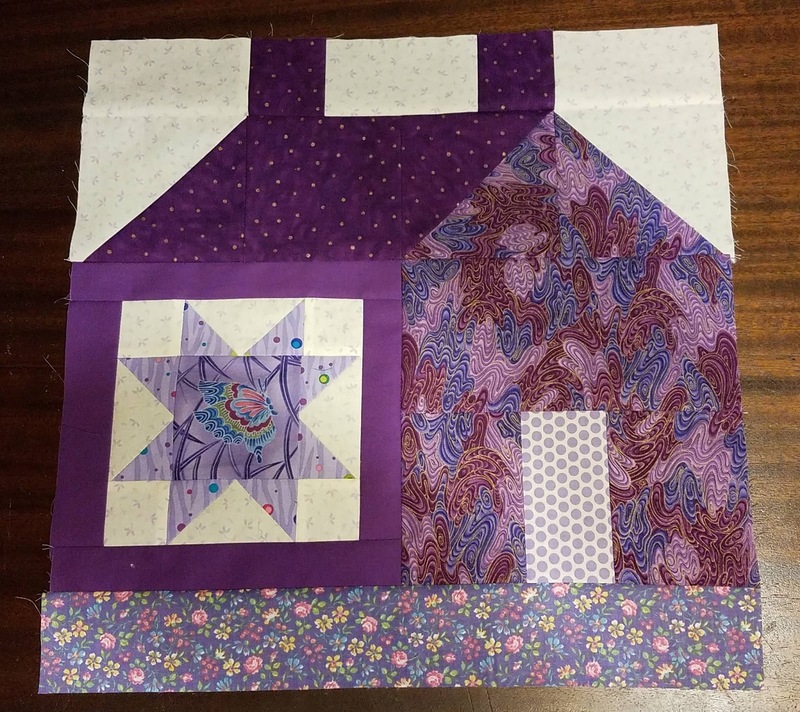 Queen Janice wanted a house block with a sawtooth star. She likes bright colors and wanted each block to be in a single color way. My favorite color is purple, so of course I had to make a purple house. Queen Irene asked for a log cabin with red centers and white and off-white logs. In Stash Bee, Queen Pam designed her own block. She asked for bright, scrappy star points. As always, I loved the variety of blocks I was asked to make! Very fun blocks! I love you purple house. 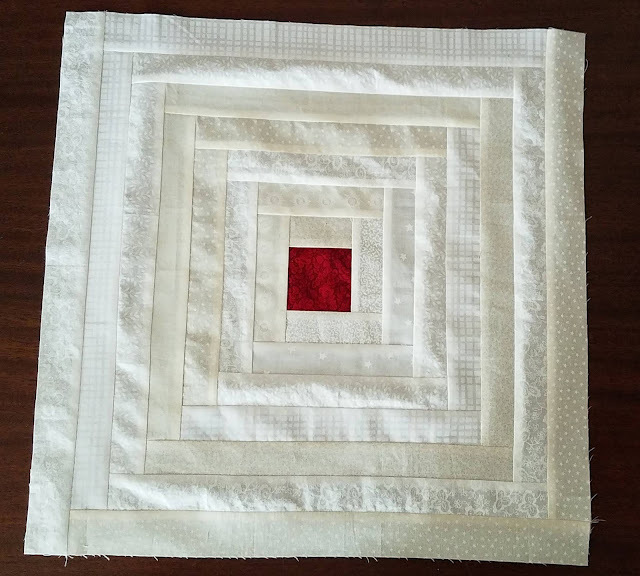 A quilt with the white and cream, with the spot of red log cabin blocks is going to very dramatic. What a cool idea. The purple house is adorable! Perfect piecing on the log cabin! And, what a fun scrap block Pam designed.